Wow, that is one awesome yacht. Looks stunning, especially in the gold color scheme. $25 mil, huh? and that's on what basis? yearly? Major Overhaul, it depends on how much you use the yacht. If its only each summer obviously its going to be lower cost, costs are a lot because there are many things to consider, if its large it can considered to be a moving home be it Toilet,Electricity,Engine, Paint,Wood and things along these lines spoil. Last edited by MeanMachine; 02-13-2011 at 02:33 PM. 122 Super Yacht fro Strand-Craft. Where are Palmer/Johnson made? New England? ^ I think in Florida If I am not mistaken. Okay, I'll play. Some of these doesn't count as yachts, but I hope you'll forgive me. The Mochi Craft Dolphin 64. Comes in a flybridge as well. The MPYD and Van Dam Woodcraft Alpha. 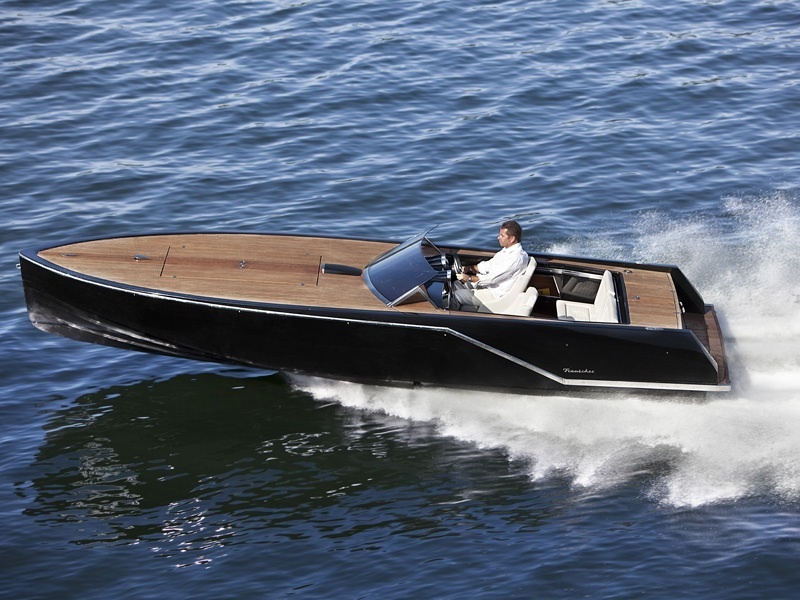 And finally, the Frauscher 909 Benaco, my Lake Maggiore dream boat.